Why is there such widespread fear of avian H5N1 influenza virus? McNeil’s statement is incorrect. Yet it summarizes why Paul Keim, the NSABB, and many others fear the virus. The problem is that we cannot say with any certainty that the virus has infected only about 600 people. What we do know is that among the 600 seriously ill individuals infected with influenza H5N1 who are admitted to hospital, over half of them die. To know the fatality rate of avian H5N1 influenza virus in humans, we need to divide the number of fatalities by the number of infections. We do not know that last number – but there are hints that it could be quite large. In a recent study of rural Thai villagers, sera from 800 individuals were collected and analyzed for antibodies against several avian influenza viruses, including H5N1, by hemagglutination-inhibition and neutralization assays. The results indicate that 73 participants (9.1%) had antibody titers against one of two different H5N1 strains. The authors conclude that ‘people in rural central Thailand may have experienced subclinical avian influenza virus infections’. A subclinical infection is one without apparent signs of illness. If 9% of the rural Asian population has been subclinically infected with avian H5N1 influenza virus strains, it would dramatically change our view of the pathogenicity of the virus. Extensive serological studies must be done to determine the extent of human infection with avian H5N1 influenza viruses. Until we know how many individuals are infected with avian influenza H5N1, we must refrain from making dire conclusions about the pathogenicity of the virus. Doing so has only lead us down a dangerous path of fearing that H5N1 influenza virus might be used as a weapon of bioterrorism, and restricting the publication of scientific papers on the virus. Update. A meta-analysis reveals that about 1.3% of over 8,500 study participants had serological evidence of infection with influenza H5N1 (Palese, personal communication). We should not fear the publication or methodology in regards to creating more virulent lab-based H5N1 or other influenza strains. What we should fear is the increased and easy access to technology considered to be advanced 10 years ago. One can order “kits” by mail that allow for easy cloning. One can order various cell lines that are easily expanded in tissue culture. Finally one can order custom-made oligos of 100 nucleotides or even entire custom plasmids of multiple kilobases from a variety of online companies. Stringent monitoring of where and who is using these kits, cell-lines and sequences is essential. 10-kb (sometimes less) is all that is needed to produce a very nasty and virulent virus. I do not worry about that scientist in a university or national lab “accidentally” releasing a lethal virus unknowingly in a way Hollywood likes to portray. I worry about the online availability of ordering this information and with a simple PCR machine someone could create a new virulent and lethal strain. Cloning in the last few years is now akin to homebrewing your own beer, this is very scary in the wrong hands. Hi. I’d like to discuss this with you. I don’t know why you said Donald McNeil said incorrect when he said H5 has been “known” to have infected only about 600 people. That information is correct. It’s also true that we shouldn’t assume we’ve seen every case, as you point out. But the way McNeil worded the sentence covers that. He’s not saying: H5N1 has only infected 600 people ever. He’s saying: Only about 600 cases have come to light. Which is correct.You argue that H5 cases that have been diagnosed are probably a proportion of the denominator, not the full denominator. Everyone hopes that hunch is correct. But there have been a lot of small serology studies looking for undetected cases. They’ve been done in several countries. You cite one which found a very high 9 per cent seropositive rate. I hear that some in the flu world have concerns about the cutoff levels that group uses. But even if their finding is correct, many serosurveys have found no seropositives. Those that have found some evidence of conversion have seen it in <4% of people tested. You can find a list of ~18 studies that have been done in this document for a meeting of the WHO's Strategic Advisory Group of Experts on immunization in 2009. See page 20.http://www.who.int/immunization/sage/SAGE_H5N1_26Mayb.pdf Apparently there have been a few studies published since that are not included on this list but they don't change the general finding — few asymptomatic cases are found.I am sure there are cases that are undetected and unreported. I'm sure that means both the numerator and the denominator are off. But is there evidence that the denominator may in fact be much larger than it currently appears, maybe as large as 9 % of the population of Asia? Seems like a stretch. McNeil was being misleading (maybe not deliberately – he did respond on this). Most of the readers would come away from his statement thinking that H5N1 has a 50% CFR. He should explain the caveats. I don’t mean to single him out; most other writers bluntly state the CFR is 50%. We don’t have the data to make that conclusion. The studies you cite aren’t adequate to provide a denominator for the CFR. They were either done too long ago or in the wrong populations (e.g. not rural farmers where one would expect virus circulation). Even one percent of rural Asian population would be millions and that would significantly change the CFR. No one is adequately questioning the H5N1 CFR and that has lead us to the NSABB situation which is dreadful. It’s not a stretch. Nasty in lab is not necessarily nasty in people. The point is even good scientists don’t know how to make a pathogen, even with techniques what they are today. I didn’t say the studies cited in the report to the SAGE were adequate to provide a denominator. But citing one study that fits your argument and ignoring 17 or so others that don’t isn’t valid, is it? Healthcare workers who cared for H5N1 cases, poultry cullers, people who worked in wet markets — these very much are people who fit into the right populations to be tested. I’m not saying the Thai study is wrong. I am just pointing out there are lots of other studies — with findings that cluster, by the way — that don’t find this high level of seropositives. I’m not saying the denominator is right. It seems more than likely that both the numerator and the denominator are underestimates. But it’s really not possible at this point to tell how far off either one is. I’m not commenting here on the NSABB situation. I’m just questioning your suggestion that there is growing evidence that a “large” number of people may have had asymptomatic infections. I think you need to look at the serology studies in their totality to address that question. And you didn’t. The point is that we don’t have an answer about the denominator. Yet the NSABB, much of the press, and much of the world thinks that the fatality rate of H5N1 in people is over 50%. That is just wrong, and you are perpetuating that wrong. This was not meant to be a comprehensive review of all the H5N1 serosurveys. I used the most recent Thai study to emphasize that 50% CFR is way off. There are problems with the 17 other studies – they are not all reporting no seropositivity but most of the ones that do were not done in the right populations. We clearly need far more extensive studies done. But your position, that there are few inapparent infections, is not correct. I’m not the only virologist taking this position. Speak with Peter Palese, Adolfo Garcia-Sastre, and Robert Krug and you’ll hear the same. I don’t have position. That’s not my role. I distill information based on talking to experts and reading studies. Here I was merely questioning how a scientist can base an argument about H5N1’s CFR on one study which supports his position while ignoring a lot of other studies that don’t. Virtually everybody in the flu world that I speak to shares that hunch about the H5 denominator, by the way. And I bet everyone would love to see robust data on this issue, especially if it shows that a lot of people are walking around with antibodies that recognize this virus. For the record, I hope I’m one of them. Nasty virus, readily transmissible, case fatality rate around 30%, well established in the human population…. sounds awful doesn’t it? It’s a good description of smallpox. People seem to forget that we have already faced viral Armageddon a number of times (smallpox, HIV, SARS, yellow fever to name but a few) and we are still here. Vincent, you bring up a good point, however is we sit there and say “as virologists it is much more complicated and we ultimately don’t understand it” that isn’t completely correct. With less than 10,000 bases in some viral genomes cutting and pasting is fairly easy. If you think outside the dogma of influenza and pox viruses as being the major threats there are many other pandemic viruses that can be created. It doesn’t take a good scientist..it actually takes a dumb one to create danger. While you advocate for the free publishing/non-censorship of this recent influenza paper …that really isn’t the issue here. The issue is that quite a bit of media hype was generated for a lab that most likely didn’t have the authority/clearance to pursue these findings. They get noticed…hopefully the university gets sanctioned and they are dismissed from their positions…unless they were specifically instructed to work on this based on a grant they should have not pursued these studies. Too many scientists sit in the lab and say “I wonder what would happen if I do this?”….. some thinking is needed. Isn’t this 50% CFR number skewed by the clear fact that survivors of H5N1 infcetions have usually gone through treatment by Tamiflu? It’s clear that those who receive late treatment or non at all usually die within 10 days. Tamiflu may be the only thing standing between us and a human adapted strain of H5N1 in the natural world. Should H5N1 pick up Tamiflu resistnace we may be in for a very bumpy ride. Thanks for this interesting post. As a virology teacher, I present the WHO numbers of lab-confirmed human H5N1 infections and the number of deaths, which does lead to a 50% CFR. I am not a flu specialist, but I just kind of assumed that the WHO numbers would represent a consensus expert opinion on this subject. I also use the same kind of approach when presenting other viral infections – H1N1 swine flu, measles, and smallpox, for example. Are you saying that this way of presenting information to students is incorrect? If so, what other source is available to get reliable numbers for comparing the pathogenicity of different viral infections? once they find active H5N1 in you, your chances are ~50% to die. maybe they didn’t even have ILI. but once it does your chances are bad. Wrong. Once you are gravely ill, and the WHO confirms that you have H5N1 influenza (which in itself is a restrictive definition) then you are very likely to die. 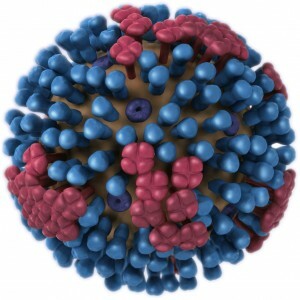 If you look at seasonal influenza – nearly half of those hospitalized die. The WHO definition for a case of H5N1 influenza includes: confirmed exposure to the virus in the previous 7 days, and laboratory confirmation of infection (antibody, PCR, virus culture). These requirements are unlikely to be met in rural areas where most H5N1 infections probably occur. Yes, the WHO is wrong to conclude that this is the fatality rate of the virus. Unless you know the total number of infections, you can’t say it’s 60%. And there is good evidence, as I write in this post, that there are many infections that WHO never sees. can’t be so much. Not even if they are in ICU. Of WHO confirmed cases, the fatality is 50%. But it’s not the fatality rate for infection because many infections with H5 viruses go unnoticed. The scientific literature has information on serological studies; see some of my later posts here. The WHO and CDC are not the scientific literature; they are people who convey information and they make mistakes. 1) The presence of antibodies may not reflect past infection with virus, just exposure to antigen. exposure to virus material that doesn’t result in infection? 2) What are the chances of those people being exposed to X-reacting viruses? 4) Surely …. oops already shot that one down myself…. so we could vaccinate people by just exposing them to antigen ? How ? Eating or inhaling dead or defect viruses ? Most flu vaccines consist of injecting inactive virus. If we could just eat or inhale the antigen, so much the better.